No email, no mobile phones... how did soldiers and their families keep in touch during the First World War? 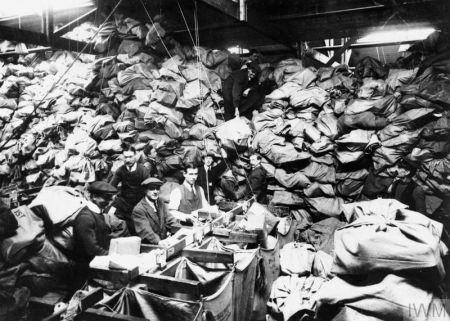 They sent over 2 billion letters and 140 million parcels, that's how. And every single one went through The Regent's Park. Pitch in and join the 2500 people who worked at the Home Depot to make sure soldiers' mail gets to them safely, securely and quickly, at our immersive, interactive sorting office. Discover how the Post Office kept the war going - and how jammy buns kept them going - at our First World War outdoor exhibition. Write a postcard to a soldier, a postwoman, your great-grandparents, or a parks gardener to tell them what you think about the First World War. Drop in any time and enjoy activities suitable for all! If you can't make it on 19 May, visit us on Sunday 12 May.